Kitt has been racing and cruising his whole life. He has circumnavigated the world twice and participated in countless regattas aboard a wide variety of vessels. His experience provides a steady command of Too Elusive. 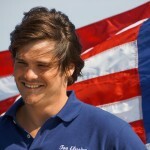 He is a member of the Cruising Club of America, St. Francis Yacht Club, and Camden Yacht Club. 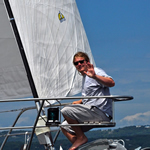 One of Kitt’s passions is cruising and racing with family and friends aboard his yacht along the New England coast. Diane joined Team Too Elusive in 2007 and has been an active team leader ever since. Diane skillfully handles crew accommodation and nourishment- always selecting the best –to the delight of the crew! Diane enjoys cruising, sunning and listening to a wide variety of music. Ali has sailed with Team Too Elusive his whole life. Set up, take down and trimming are his specialties – however- mastery of crew morale is unparalleled. Mahalo! Ali has a keen competitive edge on the race course and takes that spirit with him to the golf course in his spare time. Claire has been sailing aboard Too Elusive since she was an infant. She has developed great skill for many aspects of making the boat go fast! Claire is always ready to jump into the task at hand, be it setting or trimming sails, cleaning and polishing, or taking a turn at the helm. When not sailing fast, she enjoys reading and video games. 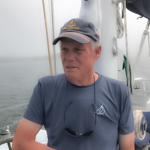 Kittredge is a lifelong member of Team Too Elusive and is always ready to fill any gaps as a trimmer, backstay controller, or foredeck crew. His sharp wit and philosophic outlook keep everyone entertained while racing or cruising. 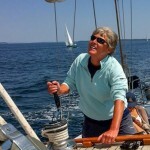 Merle and Barbara bring many years of sailing experience, knowledge, and successful racing strategies to Team Too Elusive. They provide tactical, navigation and timing management suggestions. 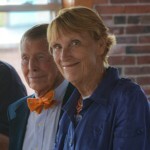 Merle and Barbara are known as the “veterans of fabulous experiences”, and they entertain as well as mentor, on and off the water. Anne joined Team Too Elusive in 2007, and her sailing enthusiasm and racing experience have been a positive addition to the crew. 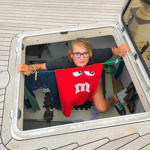 Anne’s main focus is mainsheet trimming. 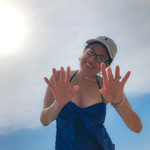 In the off-season, Anne enjoys time relaxing in the Cayman Islands. 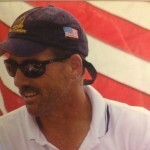 Tim is a lifelong sailor and has been a part of Team Too Elusive for thirteen years. He started as race and delivery crew, and now coordinates land-based activities.